At Capital Markets Day in London, Philips CEO Frans van Houten remarked that his company would have to tighten the belt in once-promising emerging healthcare markets Russia, Brazil, and particularly China. Though macroeconomic challenges and Philips plans to separate its lighting and medtech businesses spelled sluggish projected sales growth in 2016, Van Houten said there was still significant room for growth in personal health management technology. During an international webcast, Van Houten said that mature med tech markets such as Germany and the United States were exhibiting a downturn, and annual sales growth in newer markets was deteriorating. Russia, Brazil, and China together represent 15 percent of Philips annual business, and both Van Houten and Philips CFO Ron Wirahadiraksa indicated that the next few years would require a significant adjustment as their business responded to macroeconomic shifts. In August, The Wall Street Journal reported that the Chinese economy had hit the governments projected goal of 7 percent annual growth, though some questioned the reliability of Chinese statistics. WSJ surveyed 14 economists who all indicated that the number was likely much lower than the Chinese had reported, and some said it may be as low as 5 percent. All across the board, things are weak, Brian Jackson, an economist for IHS, Inc., told WSJ. China represents 10 percent of Philips annual business, and Wirahadiraksa cited a weak construction market, recently adopted anticorruption measures, and an increased national effort to divert healthcare spending towards domestic innovation as contributing factors to Philips decreased foothold in the country. In China, we have to learn to work with a much lower growth rate and focus on a lower cost base and greater operational efficiency, said Wirahadiraksa, who added that there may still be room for growth among Chinese consumers for personal health monitoring and management technology currently in development at Philips. Van Houten estimated that the growing demand for wearable personal health technology and mobile apps represented a $158 billion market, which Philips is looking to break into over the next few years. With a series of strategic mergers and acquisitions and the establishment of leading cloud platform, Philips plans to direct its focus towards oncology and cardiology. Bloomberg reported that the companys first program, which incorporates vital sign tracking into the Philips watch, would go on sale in Germany this October. To further offset lost profit, Van Houten commented that Philips was seeking out additional partnerships with hospital systems, similar to the $500 million partnership the company recently signed with Westchester Medical Center Health Network, in which Philips will provide medical scanners and patient data consultations. 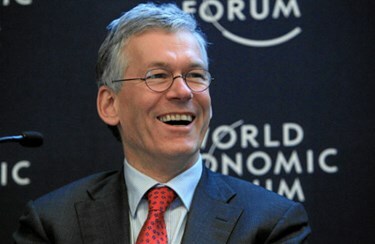 Image credit: "The Digital Infrastructure Context: Frans van Houten" by Philips Communications. Licensed under CC BY-NC-ND 2.0 via Flickr.